Alan Kenneth Mackenzie Clark (13 April 1928 – 5 September 1999) was a British Conservative Member of Parliament, author and diarist. He served as a junior minister in Margaret Thatcher’s governments at the Departments of Employment, Trade and Defence, and became a privy counsellor in 1991. 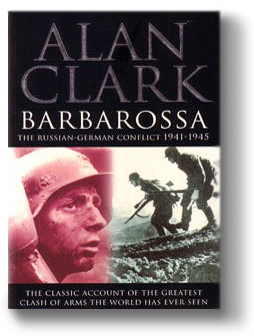 He was the author of several books of military history, including his controversial work The Donkeys (1961), which is considered to have inspired the musical satire Oh, What a Lovely War! 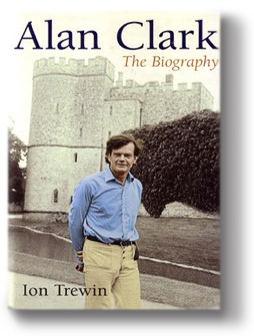 Clark joined the Conservative Monday Club in 1968 as an avid opponent of the Common Market, and was soon Chairman of its Wiltshire branch. He subsequently became MP for Plymouth Sutton in the February 1974 general election with a majority of 8,104 votes, when Harold Wilson took over from Edward Heath as prime minister. His first five years in parliament were spent on the Conservative opposition benches. He was still a member of the Monday Club in May 1975. It is unclear when he let his membership of the club lapse but possibly it was upon becoming a government minister. He continued to address Club events until 1992. 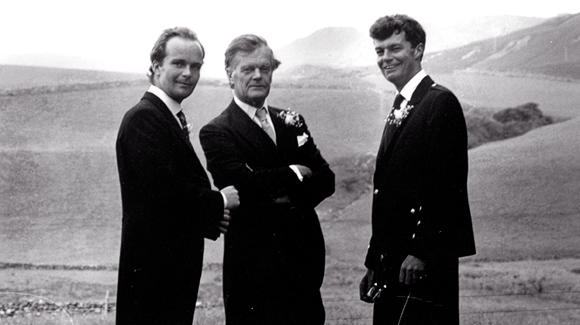 During the subsequent Party leadership contest he was urged to vote for Margaret Thatcher but he is thought to have favoured Willie Whitelaw. The following year came the free vote on the Common Market and Clark voted against. Although he was personally liked by Margaret Thatcher, for whom he had great admiration, he was never promoted to the cabinet, remaining in mid-ranking ministerial positions during the 1980. 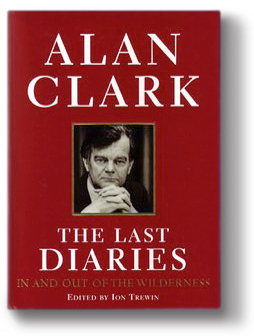 Clark received his first ministerial posting as a Parliamentary Under-Secretary of State at the Department of Employment in 1983, where he was responsible for moving the approval of regulations relating to equal pay in the House of Commons. 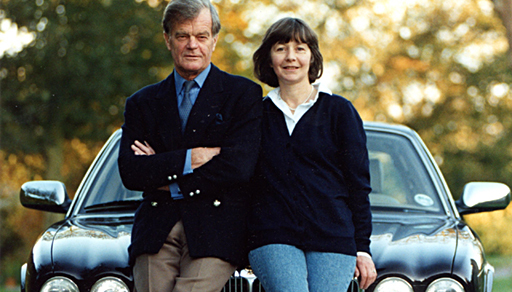 Clark left Parliament in 1992 following Margaret Thatcher’s fall from power, but became bored with life outside politics and returned to Parliament as member for Kensington and Chelsea in the 1997 election. 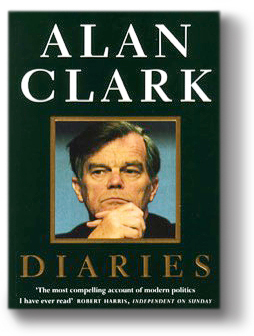 After quitting the House of Commons in 1992 he published his Diaries the following year. 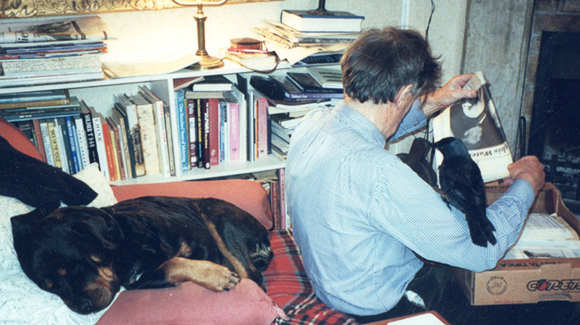 His political history, The Tories: The Conservatives and the Nation State, appeared in 1998. 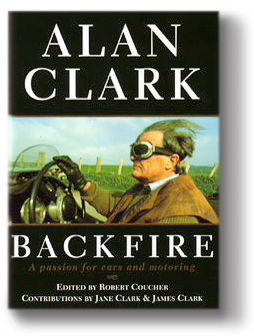 A second volume of his Diaries, covering his entry into politics until the Falklands War, was published in 2000, and a collection of his motoring journalism in 2001 under the title Back Fire: A Passion for Cars and Motoring. 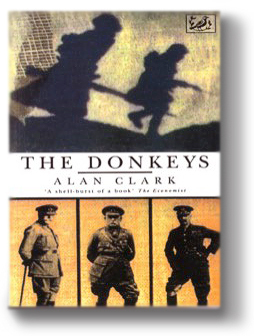 In 1961 Clark published his first book of military history, The Donkeys, A History of the BEF in 1915. It heaped obloquy on British generals – particularly Haig – for their readiness to sacrifice lives to an unimaginative strategy. It provided much material for Joan Littlewood’s musical Oh! What a Lovely War.Other work on Military history were to follow. He is though, best know for his diaries, during his time in Thatcher’s government – a frank and candid account of political life. 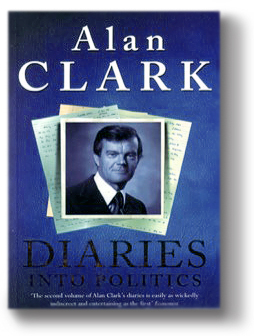 The Alan Clark Diaries and other titles are available to purchase at regular open days.